Bundle Your Rent and Utilities: Several Tallahassee apartments offer all-inclusive or utilities-included options that bundle your utilities and rent into one convenient monthly payment. This will not only make paying bills more efficient, but you can also avoid those pesky utility set-up fees that utility companies charge when initiating serviced. With an all-inclusive apartment there’s no limit to the amount of utilities you can use – which is especially useful if you take long showers or prefer to keep the air conditioner at a cooler temperature. Many all-inclusive apartments also include cable, high-speed internet, pest control and trash services. With the utilities-included option you will be capped at a certain utility usage per month, however, if you are moderate in your usage this option can be a real money-saver! Ask About Specials and Discounts: It’s not uncommon for Tallahassee apartment communities to offer discounts or specials to their residents. Call the leasing office to ask about discounts for preferred employees, students and faculty, or military personnel. Before you sign a lease, you should also inquire about move-in specials like a reduced deposit, waived fees or even a free month’s rent. Share Your Space: One of the most significant ways to cut costs is to split your apartment with a few friends or peers. If you’re new to town and haven’t had the opportunity to scout out some good roommates, many apartments near FSU offer roommate matching services and individual leases, with which you’re only held responsible for your portion of the apartment, to make the process stress free! Shop Amenities: Amenities aren’t just for fun, they can also make a large dent in your monthly expenses. 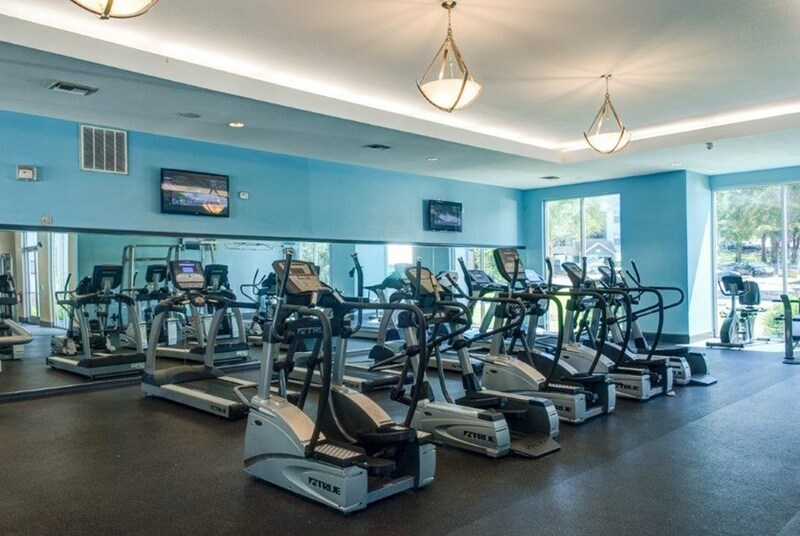 With an on-site fitness center you can ditch that monthly gym membership and keep in shape. Hauling your clothes and a bag of quarters to the laundromat will be a thing of the past with in-unit washers and dryers – saving you a lot of time and money! With an apartment near the Seminole Express you can easily commute to and from class, allowing you to save on gas and an expensive campus parking permit. Look for Energy Efficient Appliances: It may not seem like a big expense, but appliances can use up a lot of energy – increasing your monthly utility bill! To save a few extra dollars each month, look for ‘green’ apartments with energy efficient appliances.